Our family creates ornaments every year. We spend one evening together drinking hot chocolate or apple cider and creating Christmas ornaments. 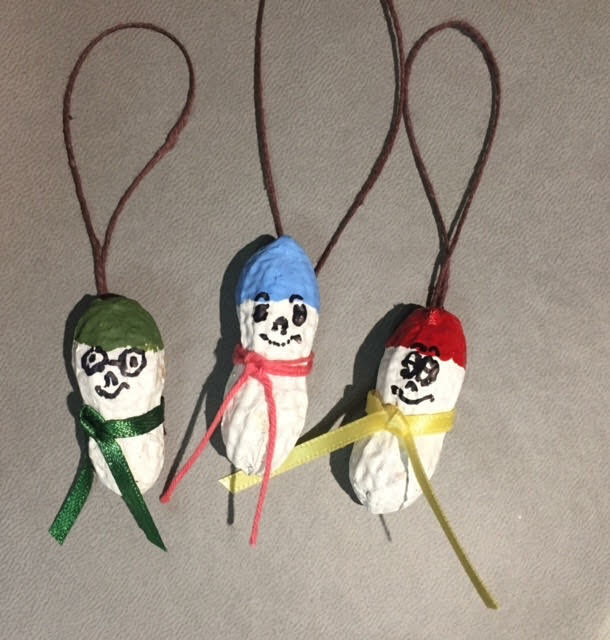 This year my children's favorite to make were these peanut friends that they titled "Nuts for Christmas". We took (unsalted) peanuts and painted them white. We added a colorful hat with another color of paint. Sharpie makers made the perfect little faces. Bits of ribbon or string for the scarf. We have oodles of these on our tree this year. I like that no two are the same between the different shape of the peanut and the expression on their face. Of course, we put the year on the back of the ornament so we remember our family ornament tradition of 2016! Copyright © 2016-2017 by BetterBudgeting. All rights reserved.